We are so excited to be sponsoring Models for Charity’s summer fashion show, Ladies That Brunch! 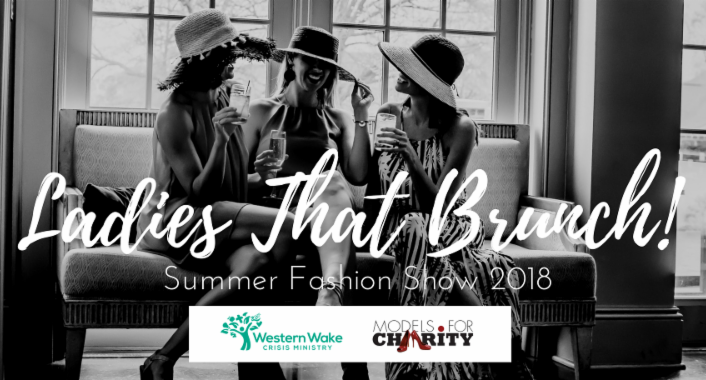 Wear your favorite summer dress and fancy derby hat and come brunch for a cause with Models for Charity to benefit Western Wake Crisis Ministry. What could be more fun than a little Sunday brunching with your best ladies while sipping mimosas AND previewing all the latest summer fashion trends?! Ticket price includes a yummy brunch, bottomless beverages, silent auction, fashion show, swag bag, professional photography and our favorite resident DJ, Supr. Door prizes will be awarded for the best hat and dress. We can’t wait to see you there, friends!